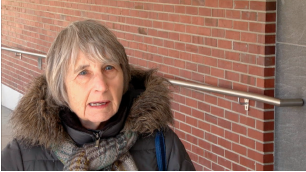 Rebecca served as an elected trustee of the Ann Arbor District Library from July 26, 2004 until her passing in June 2015. 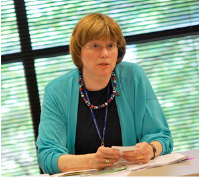 She was President of the AADL Board from 2008-2010. Rebecca gave thoughtful and respectful consideration to every question and decision, and she listened well before making choices. She was instrumental in the development and adoption of the 2010-2015 AADL Strategic Plan, work that she enjoyed. 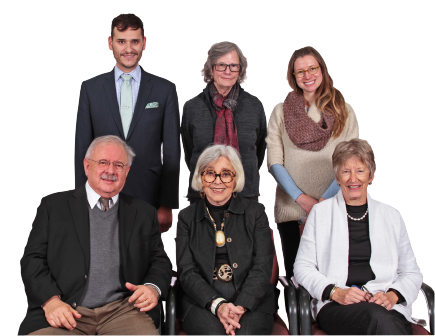 Rebecca's wisdom and calm approach are evident in the major actions of the AADL Board over the past 11 years. She was a dutiful and loyal elected official and a good friend to the Library. The AADL and the community have suffered a great loss. Public libraries sustain and support us through inevitable changes and challenges we all face and experience throughout a lifetime. 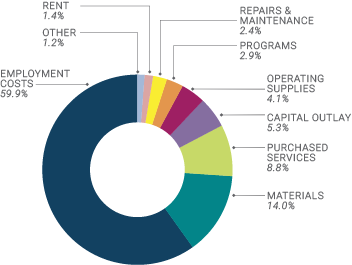 When you click through this annual report, it is my hope that, as you view the videos and pie charts and read the narrative, you will recognize moments when the Ann Arbor District Library made a difference when it mattered most. It is a tribute to libraries everywhere that a public institution can incorporate new technologies in rapid succession and with remarkable efficiency without jettisoning the understanding that we need to be human in this public space. Today’s library appears to be very different from the library of my childhood, but it remains essentially the same. The activity is often amazingly different; however, it is still the place – the public space that is the library - that matters so much to so many individuals. 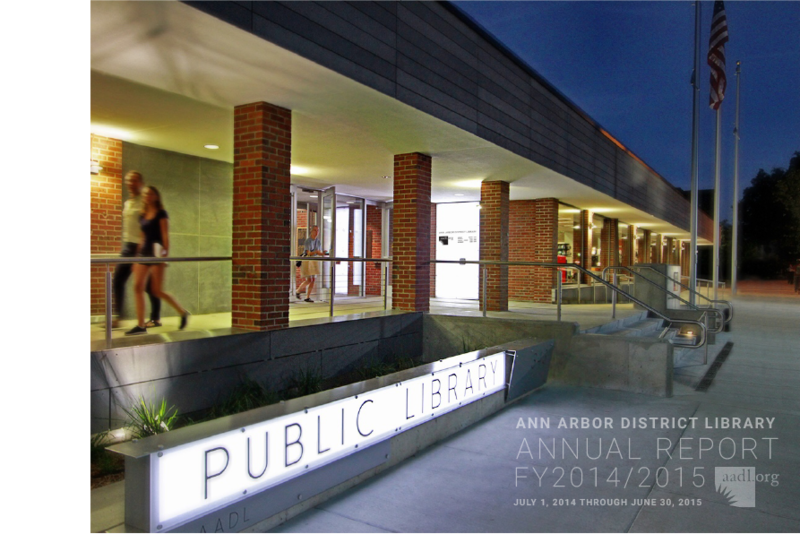 Did you know that the Ann Arbor District Library is rated one of the top libraries in the United States? Early in this fiscal year AADL was named a 5-Star Library by Library Journal. Only 1.1% of libraries nationwide received 5 stars, the highest ranking a library can achieve in this annual rating system. AADL continues to be the only library in Michigan ever to receive 5 Stars. Did you also know that this ranking is based on your high volume of use of AADL and its resources? 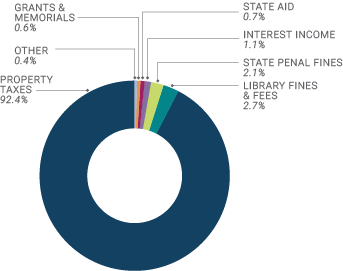 Libraries across the nation are rated according to four statistics (annual circulation of library materials, program attendance, public computer use, and visits to buildings per capita) and are rated in comparable budget groups. 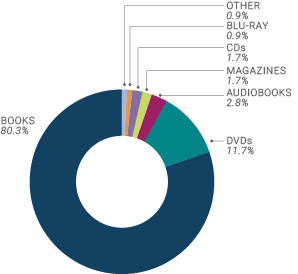 AADL was in the $10–$29.9 million budget group with a budget of $13.6 million. 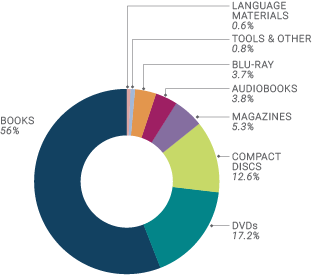 You have helped your library achieve this status every year since the rating system began in 2008.
books, DVDs, CDs, and the growing tools collection. 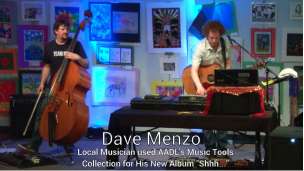 « AADL held 1,465 events last year, including appearances by authors Louise Penny, Kathy Reichs, Gary Shteyngartand, and Dr. David Oshinsky, Pulitzer Prize winner; climate activist Tom Hayden; Rosa Parks’ niece Sheila McCauley Keys; Chef Takashi Yagihashi; and local musician Dave Menzo. 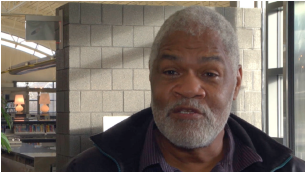 In the past year, over EIGHTY-EIGHT THOUSAND PEOPLE have attended AADL events. They have enjoyed family activities, community gatherings, author appearances, and events highlighting local celebrities and organizations. 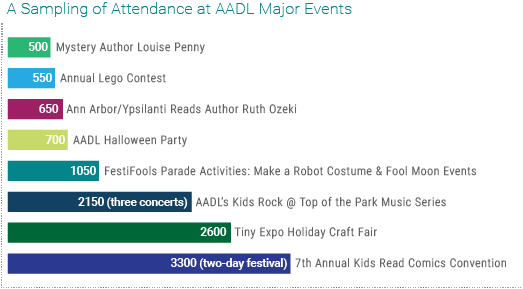 AADL had many popular events this year, and the following are some attendance numbers. 500 for mystery author Louise Penny. 550 for the annual Lego Contest. 650 for the Ann Arbor and Ypsilanti Reads author Ruth Ozeki. 700 for the AADL Halloween party. 1050 for the Festifools Parade Activities. 2150 over three concerts for Kids Rock at Top of the Park. 2600 for the Tiny Expo Holiday Craft Fair. 3300 for the two-day event of the 7th Annual Kids Read Comics Convention. 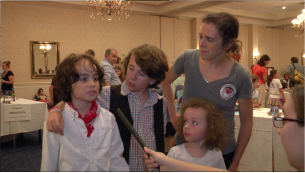 « The Forbes-Berg family shared what they liked best about the AADL Annual Lego Contest. in AADL branches and 1/3 at the Downtown Library. A new fiber Internet connection was installed this year at the Pittsfield Branch. and is now the same speed as other branches. with half a million visits to the Downtown Library alone! 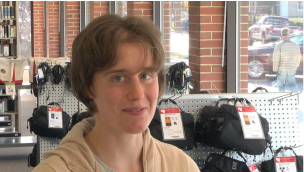 In June 2015, The National Library Service for the Blind and Physically Handicapped (NLS) at the Library of Congress presented its annual award for National Subregional Library of the Year to the Washtenaw Library for the Blind and Physically Disabled at Ann Arbor District Library (WLBPD@AADL) for its outstanding service to readers who are visually or physically challenged. The award was presented during a luncheon ceremony on June 19 at the Library of Congress. 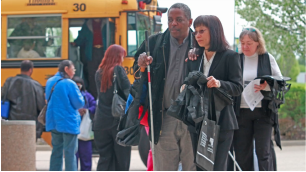 « WLBPD won this award for over five years of outstanding service, which included three low-vision technology and service expos and a special exhibit on Helen Keller. In Memory of Robert L. Barnes, Sr.